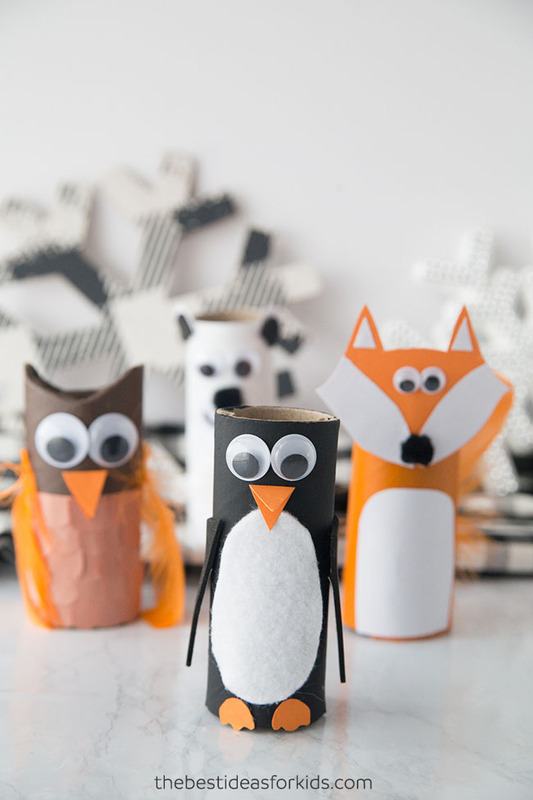 We love up-cycled crafts – especially ones that use paper rolls! 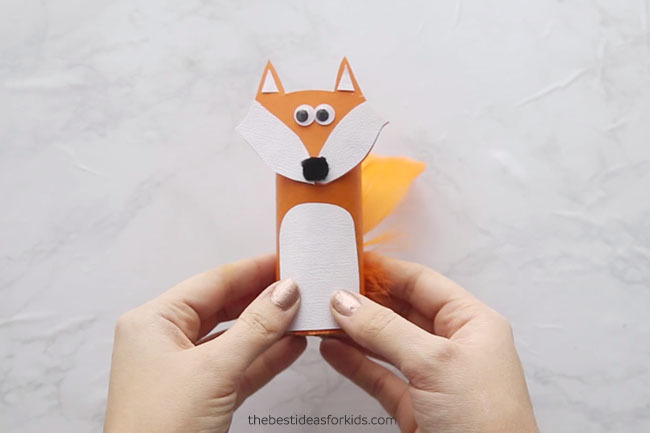 Our kids especially love to create with paper rolls. We did Halloween and Christmas ones this year that were a big hit and we wanted to add some Winter animal versions. These are great to make on a cold, Winter day when it’s too cold to venture outside. 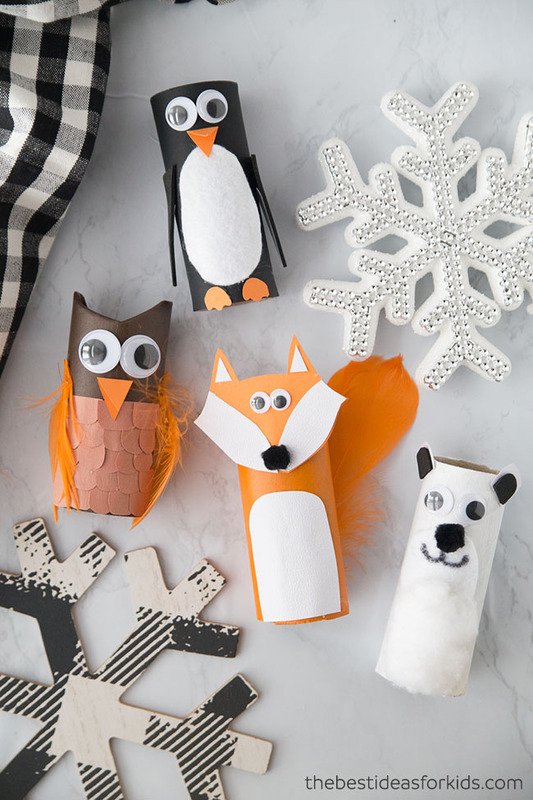 Have a fun craft afternoon making these Winter toilet paper roll animals. Make them all or just make one! 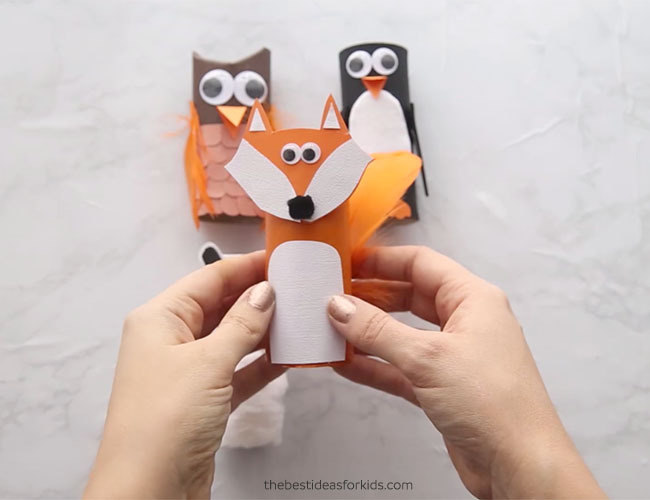 We can’t decide which one is our favorite but we love the owl and fox. 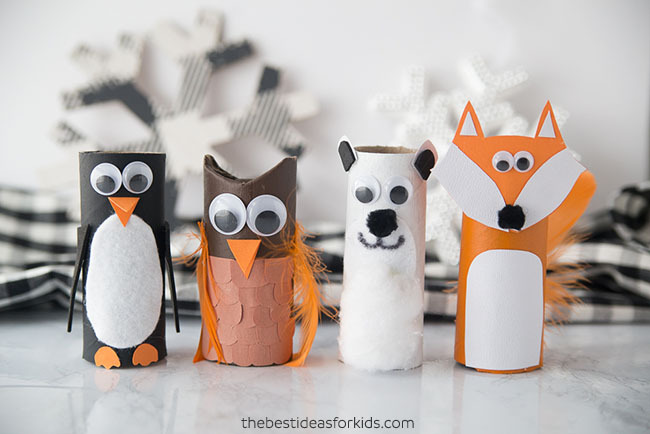 Make a toilet paper roll penguin, owl, fox and polar bear! 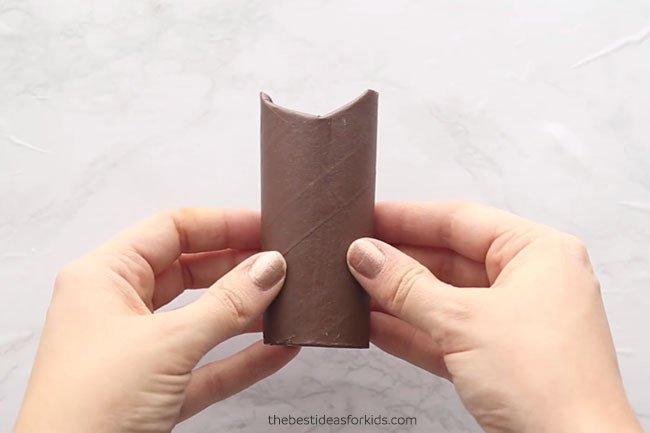 These are really easy to make and you only need a few supplies. 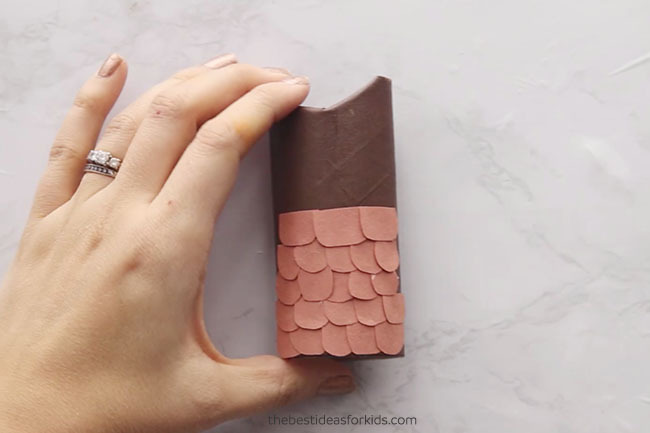 You can even just make them with all paper too. 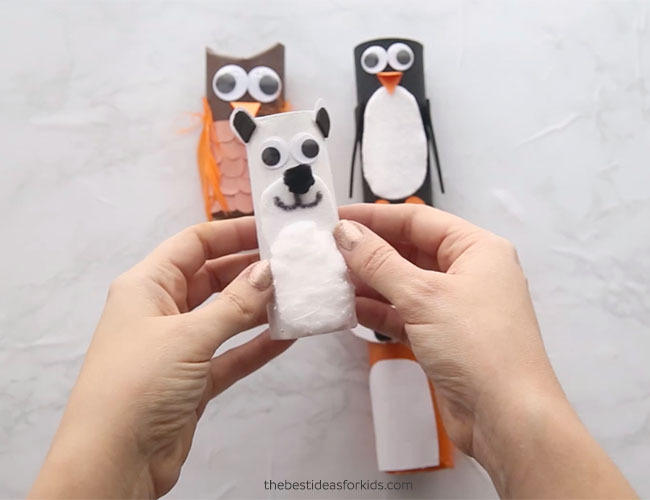 We made the fox and owl with orange and brown colors but if you want to make all arctic animals you can make a snow owl and an arctic fox instead. Just change the colors to be all white. Before you make each toilet paper roll, you’ll need to paint them. We painted one white for the polar bear, black for the penguin, orange for the fox and brown for the owl. 1. Cut out a round circle from white felt and glue down. 2. Draw and cut out the feet and glue to the bottom. 3. 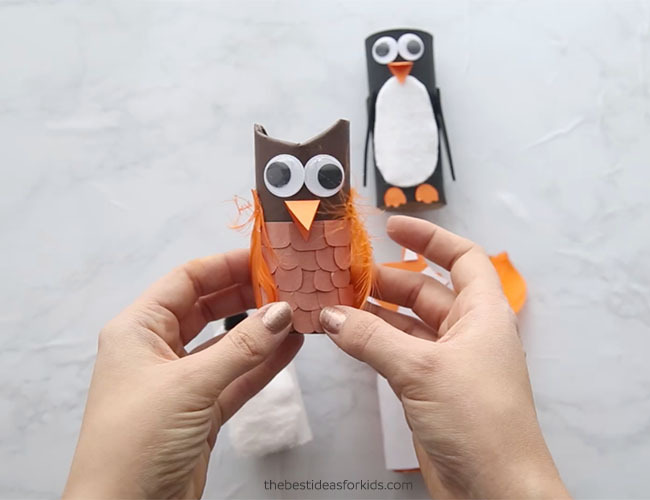 Fold over a small piece of paper and then cut out a triangle so that you get the beak. Glue down and then glue the googly eyes on top. 1. 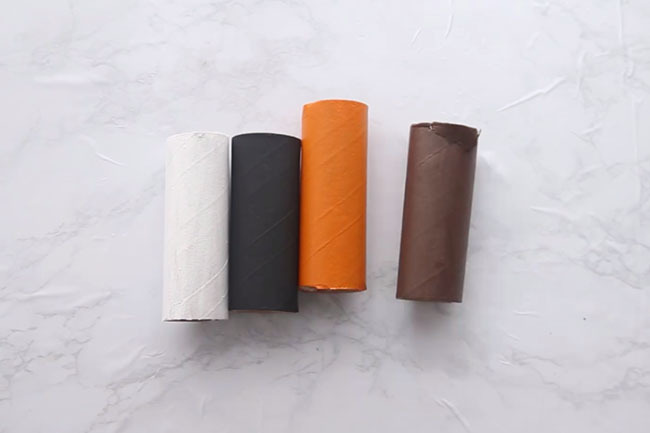 Paint the paper roll brown. 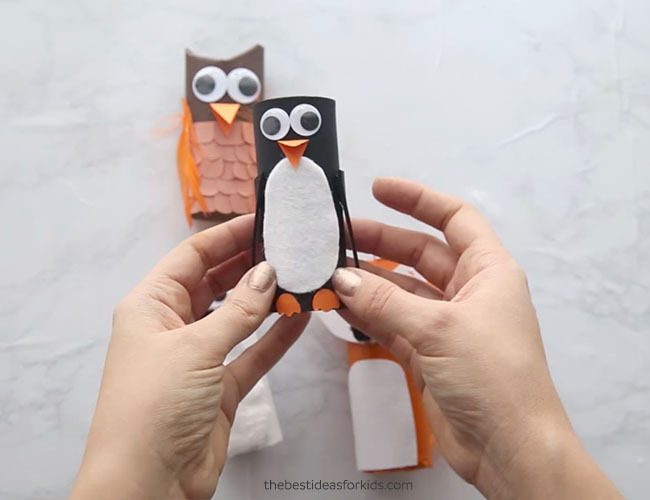 Push the top of the paper rolls in so that it looks like the owl has ears. 2. 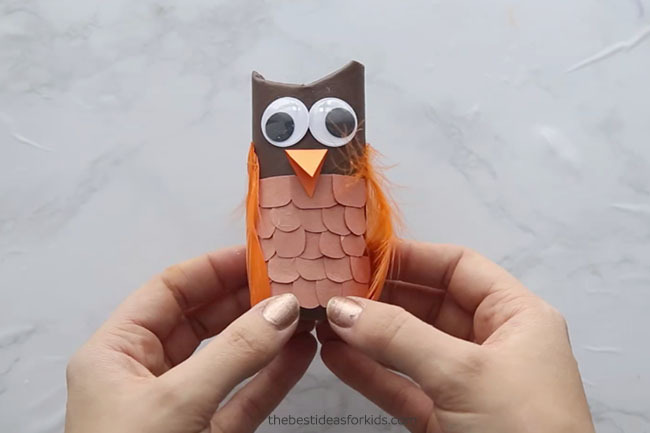 Cut out 15-25 half circles from light brown cardstock for the front of the owl. 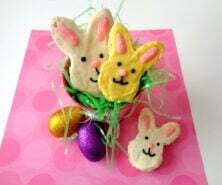 Then glue these by layering them on top of each other. Start with the bottom and glue the pieces layered on top working your way up. 3. Glue on two large googly eyes. 4. 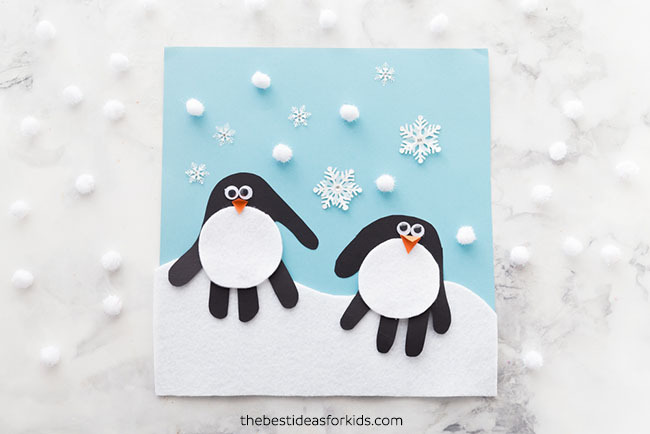 To make the beak: Fold a piece of paper over and then draw a triangle. Cut this out and then glue it down. 5. 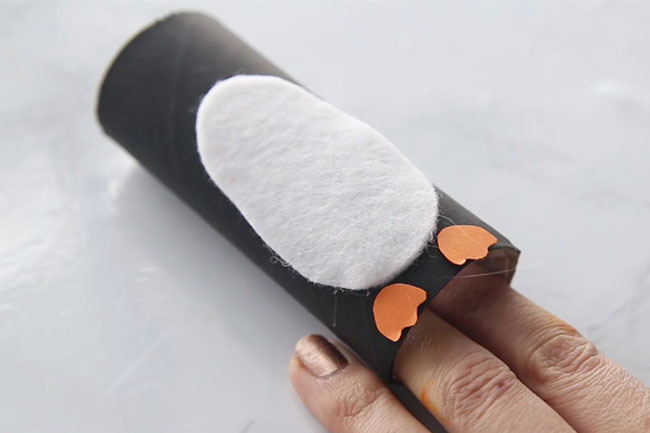 Glue a feather to each side of the paper roll. 1. Cut out the head by free-hand drawing a similar shape. 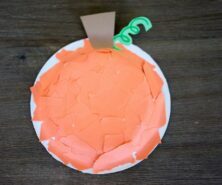 Add the bottom white paper parts by gluing the paper on top and then trimming around the orange piece. Add two small white pieces to the ears. 2. 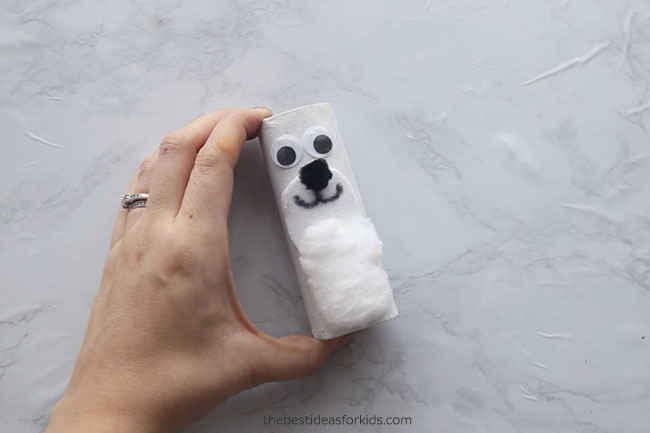 Glue the small black pom pom on for the nose. 4. 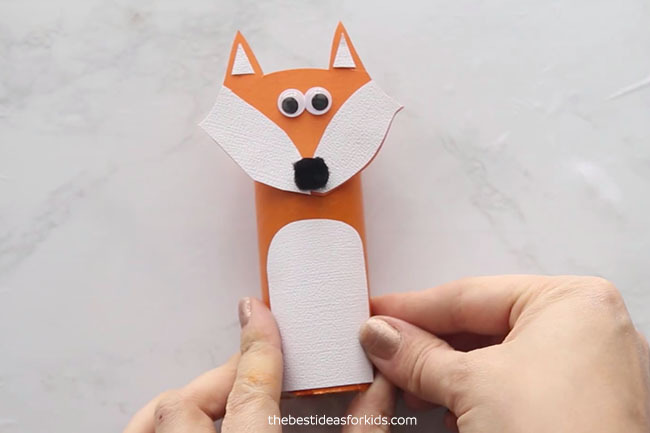 Then glue the whole fox head to the top of your paper roll. 5. Cut out a rounded shape for the belly from white cardstock and glue this to the bottom. 6. Glue an orange feather to the back and angle it so it looks like a tail. 1. First glue on a circle piece of white felt for the mouth. 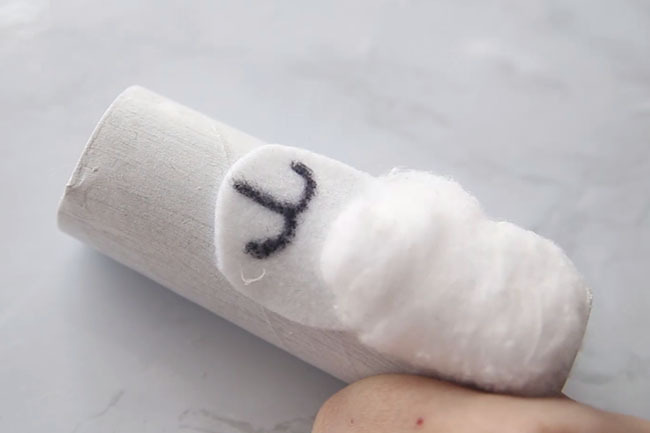 Glue on a large cotton ball stretched out for the belly half-way down the felt. 2. Draw the mouth on with a black sharpie. 3. 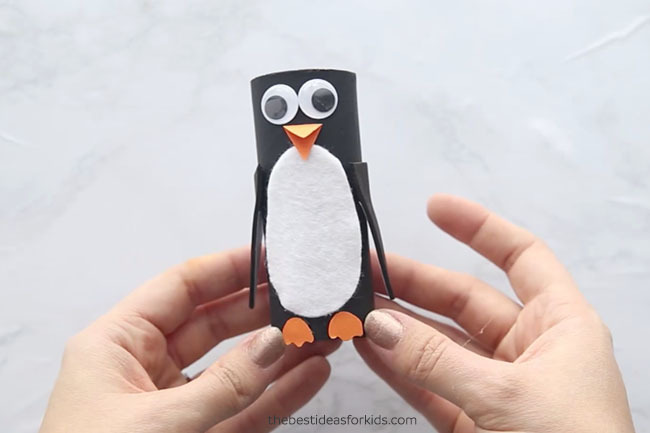 Glue on the googly eyes and black pom pom for the nose. 4. Cut out two small ears and add a small black foam paper insert for the inside of the ears. 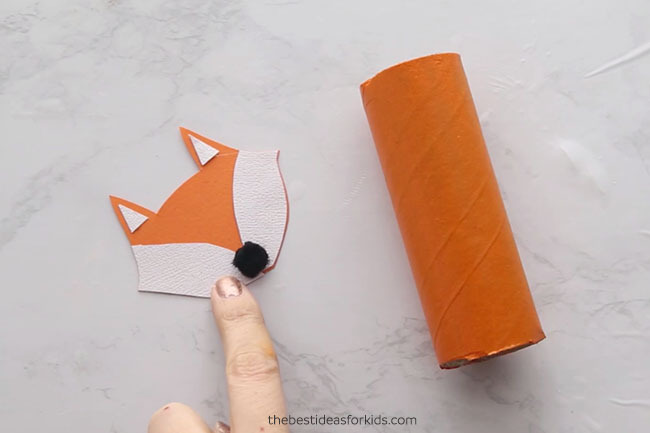 Glue the ears to the top of the paper roll. 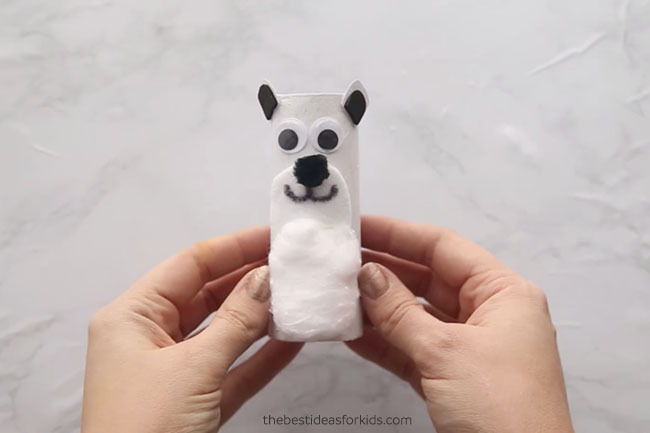 Now you’ve made all 4 Winter toilet paper roll animals! Which one is your favorite? 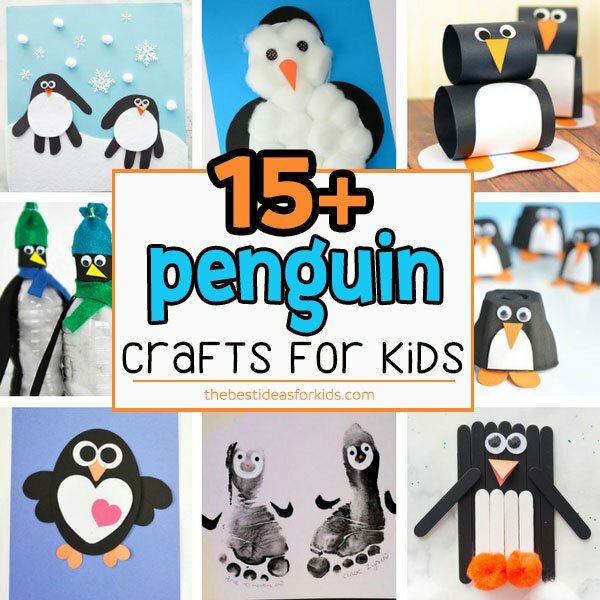 These handprint penguins are so cute to make! 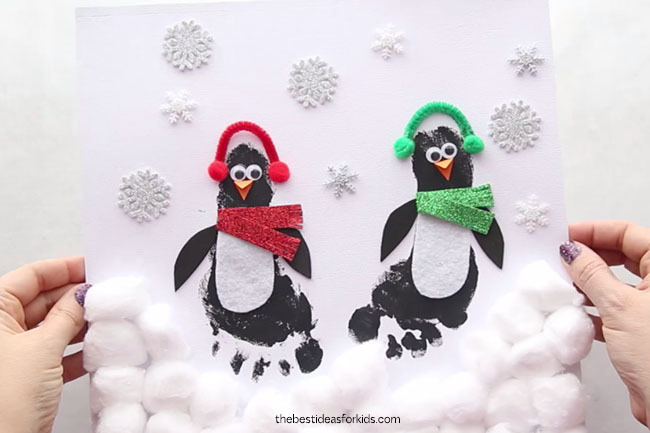 These footprint penguins are fun to make if your kids like to get their feet messy! 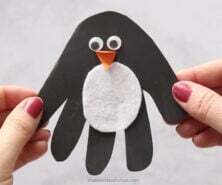 More penguin craft ideas – lots of fun Winter crafts here!